Finally, an update! Photo taken using my Nokia 3120 classic. 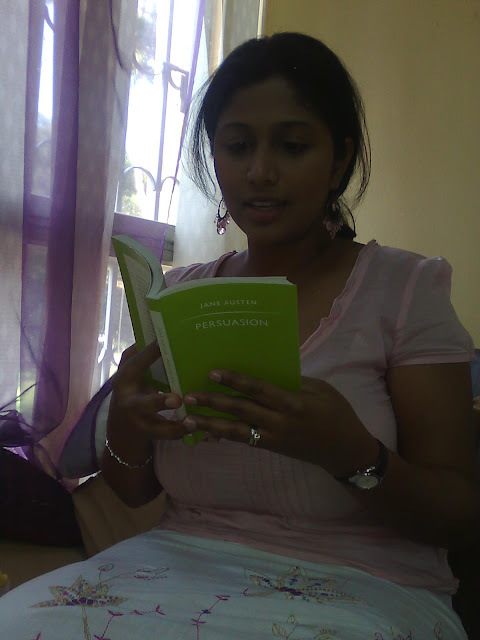 Caught the wife of my boss reading Persuasion by Jane Austen at our old office last month. Apparently she reads everything by Jane Austen.